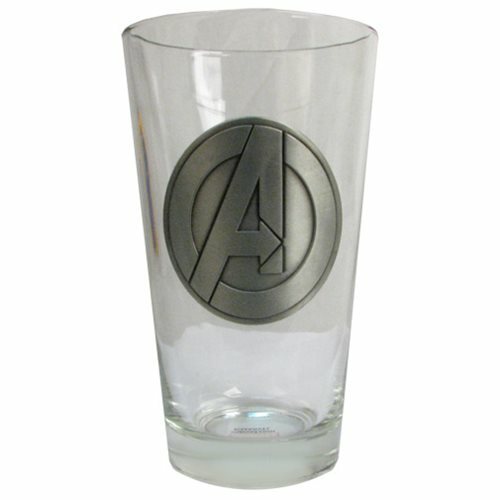 When you assemble the glassware for your next superhero party, you'll want to be sure this 16-ounce Avengers Symbol Pint Glass is included. Better order it now. Hand wash only. Not dishwasher safe. Do not microwave. Measures 6-inches tall. Ages 12 and up.